Spectra of low energy, high current pinch discharges in pure hydrogen, oxygen, nitrogen, and helium were recorded in the EUV region, and continuum radiation was only observed from hydrogen [www.blacklightpower.com/pdf/GEN3_Harvard.pdf; Int. J. Hydrogen Energy 35, 8446 (2010); Cent. Eur. J. Phys. 8, 318 (2010)]. The continuum radiation bands at 10.1 and 22.8 nm and going to longer wavelengths for theoretically predicted transitions of hydrogen to lower-energy, so called “hydrino” states, was observed first at blacklight power, Inc. (BLP) and reproduced at the Harvard center for astrophysics (CfA). 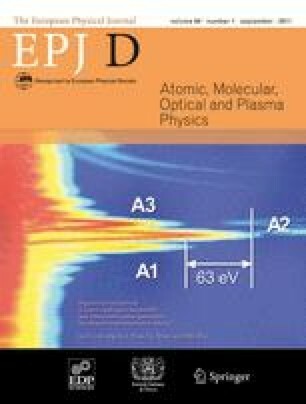 Considering the low energy of 5.2 J per pulse, the observed radiation in the energy range of about 120 eV to 40 eV and reference experiments, no conventional explanation was found to be plausible, including electrode metal emission, Bremsstrahlung radiation, ion recombination, molecular or molecular ion band radiation, and instrument artifacts involving radicals and energetic ions reacting at the CCD and H2 re-radiation at the detector chamber. To further study these continuum bands assigned to hydrinos, time resolved spectra were performed that showed a unique delay of the continuum radiation of about 0.1 μs and a duration of < 2 μs following the high-voltage pulse consistent with the mechanism of recombination to form the optimal high-density atomic hydrogen in the pinch that permits the H–H interactions to cause the hydrino transitions and corresponding emission. An erratum to this article can be found online at http://dx.doi.org/10.1140/epjd/e2011-20455-x.